Even before taking the helm of Tobin Properties, Herbert Tobin always put into practice his motto: “build on your strengths.” Those strengths include his vast experience in all areas of the real estate industry, and his passion for bringing talented people together. During the late 1960’s Herb was the Vice President of the family business. He played a significant role in the operation of the historic Hollywood Beach Hotel, a five-star resort, and the development of Hillcrest, a 2400-unit condominium community. In 1971, Herb left the family business to organize a company specializing in the marketing, sales and management of multi- housing developments. Three years later the AMEX-listed Ryerson and Haynes, Inc. acquired the firm and the combined R&H group became one of the largest workout companies in the country during the REIT failures. In 1976, Herb returned to the family business, assuming a leadership role in all aspect of the real estate and country club operations. In the early 1980’s, Herb became the President of the company. During his first decade, he doubled the size of the business and laid the foundation and set a course for what is today Tobin Properties. 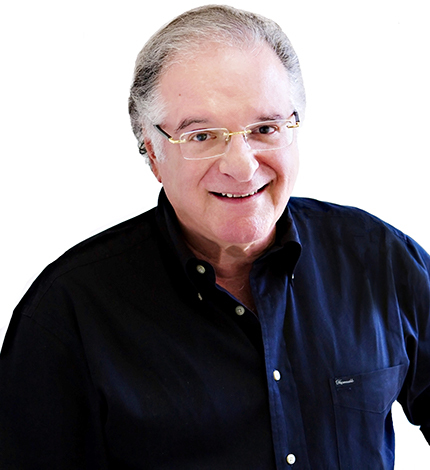 Herb has been a Director of Unico Properties since 1992. Unico, based in Seattle Washington, was founded by Ben Tobin in 1953 along with his partners from the Empire State Building, Roger Stevens and Al Glancy, Jr. Today the company owns and manages 15 million square feet of class A office space and multi housing developments in Washington State, Oregon, Salt Lake City, Utah, Denver, CO, Austin, TX and most recently in Nashville TN. For 25+ years, Herb served as Chairman of the Board of Union Bank of Florida, a $1.4 Billion community bank. He was also a Director of Royal Palm Beach Colony (a public company) from 1990 to 2004, during which time the company did a $100 million liquidation of land and assets. Civic, community and charitable organizations have always played an important part of Herb’s life. He is currently chairman of the Board of Trustees of the Valor Foundation, a publisher of books, the Ben Tobin Foundation, Herb is a Life Director and also chaired the Board of South Florida PBS, producer of “Nightly Business Report,” from 2000 to 2003. Mr. Tobin was a founding member of the Children’s Foundation of Greater Miami, Fla., and is a member of the Honorable Order of the Kentucky Colonels, as well as the Bowman Foster Ashe Society at the University of Miami. Mr. Tobin served as the Mayor of Golden Beach, Fla. for 10 years (1983-1993) Through their foundation, The Francine and Herbert Tobin Foundation, he and his wife, Francine, co-sponsor the Listeners/Oyentes Program in partnership with the Miami-Dade County Public Schools. Fran has been the Chairperson of the program for over 40 + years. Herb is a Florida State Certified General Contractor since 1971 and a graduate of the University of Denver with a Bachelor of Science degree in Business Administration (1962). He proudly served in the U.S. Army Reserve for 6 years. In those rare moments when he is not thinking about real estate or his wonderful wife of 56 years Francine and his fabulous family, Herb enjoys music – a longtime passion of his – fine wine, and art glass.